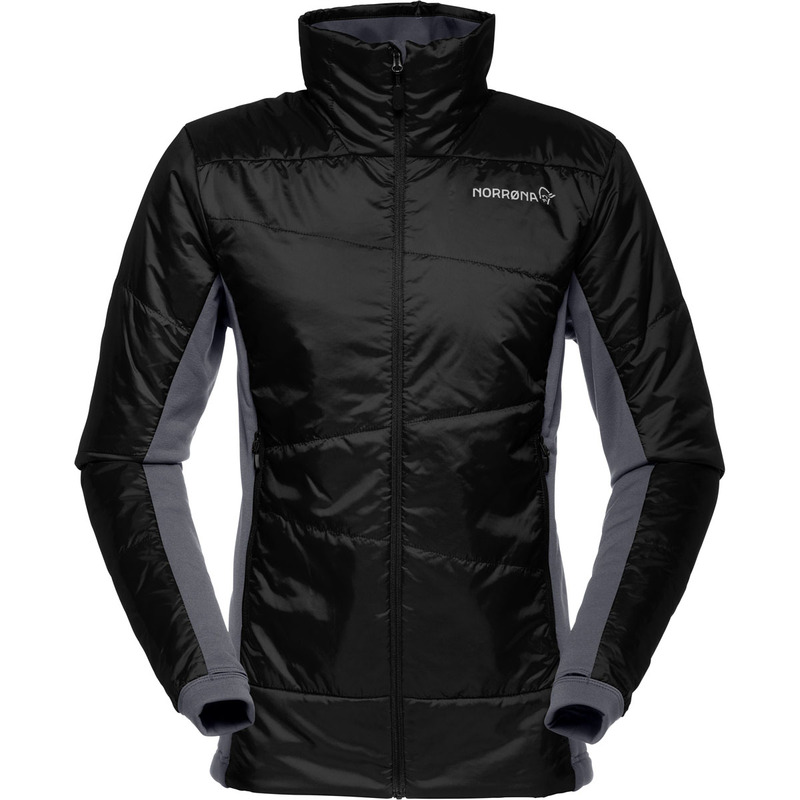 The Norrona Falketind PrimaLoft60 Jacket Women is a lightweight insulated synthetic down jacket with water-resistance, breathability, and climbing features designed for all season use. Their lightest and most packable insulated jacket, the Norrona Falketind PrimaLoft60 Jacket Women can be worn as an outer in milder conditions or as a midlayer in winter weather. PrimaLoft® Silver Insulation is hydrophobic to keep you warm even if the jacket gets wet, and Polartec® Power Stretch® cuffs and side panels add flex for better comfort and mobility across all types of manoeuvres. An Integrated hand gaiter™ blocks out the weather and traps in heat, and above-harness pockets are always accessible. Able to be packed into its own pocket, the Norrona Falketind PrimaLoft60 Jacket Women is designed for all-season use by the versatile climber. Branded as “warmth when wet”, and considered the industry best in synthetic insulation, PrimaLoft® was originally designed by the U.S. Army’s R&D team who wanted to develop a synthetic alternative to down that had the ability to repel moisture and increase breathability. The result was PrimaLoft® fibers, ultra-fine fibers that, unlike down, are hydrophobic, resisting water absorption that would otherwise soak the fibers and destroy the air pockets. That’s why PrimaLoft® has the ability to maintain warmth, even when soaking wet.